Welcome to Exploit Week! 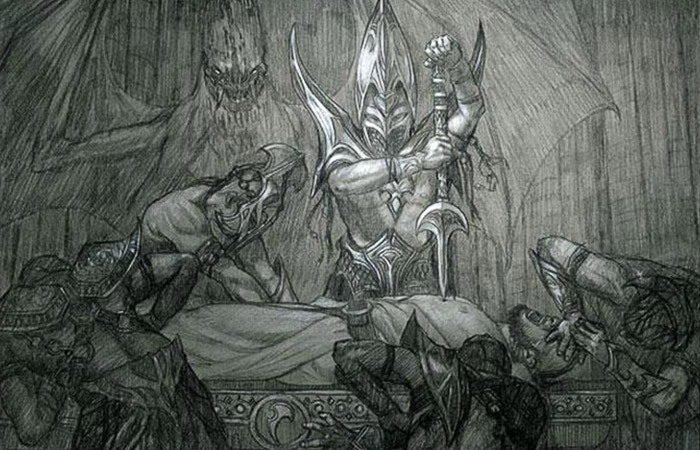 Today we're taking a look at the art by Volkan Baga on Qarsi Sadist. 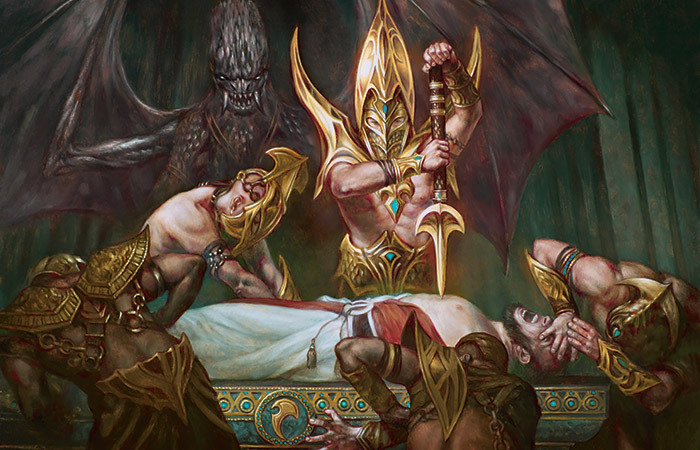 As a 1B exploit creature, it's likely a card you've seen in Limited, but have you taken a close look at the art? In the background, you might think that that is a statue of Dragonlord Silumgar but, in fact, it's the elder dragon himself, looking on as he waits for his next meal.